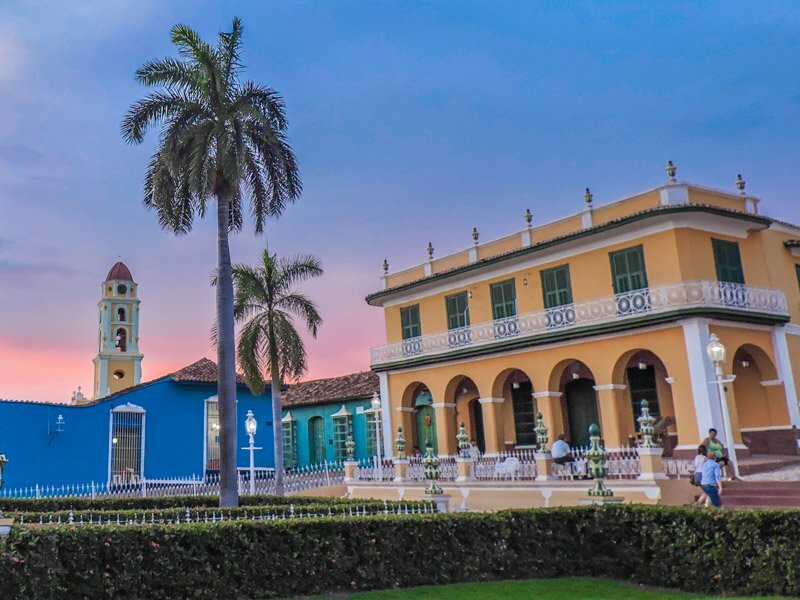 Trinidad, Cuba is a UNESCO World Heritage site in the centre of the island, located in the province of Sancti Spíritus. You know the famous pastel coloured buildings that Cuba is known for? Yeah, that’s Trinidad! The nearby Playa Ancon deserves a shout out too because it is a postcard perfect beach. Trinidad has a cute array of coloured housing and the casas particulares are unreal! 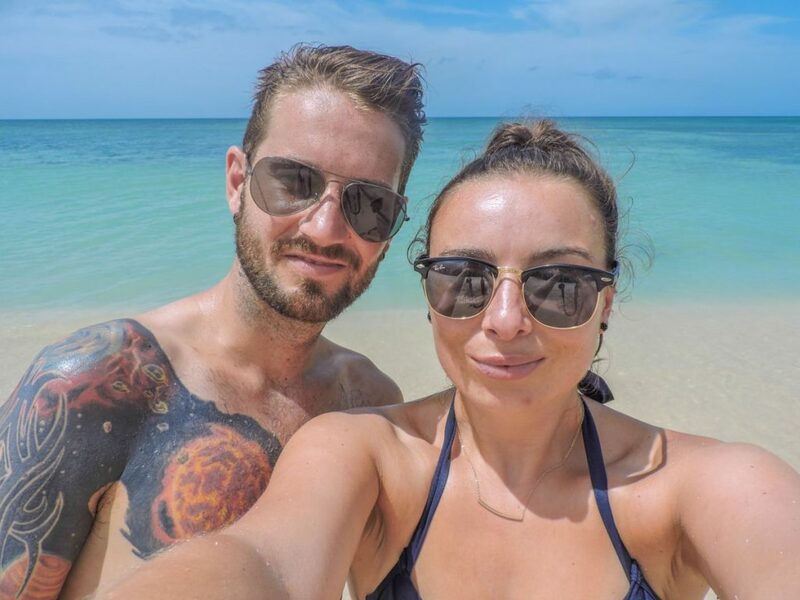 Want to live with locals in Cuba like we did? 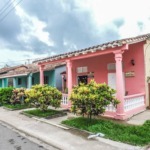 Check out our guide to Cuban casas. 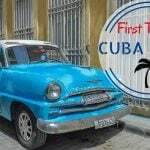 Holiday in freedom, why Cuba all – inclusive when you can casa?! Many of these homes are beautiful colonial buildings with stunning gardens. 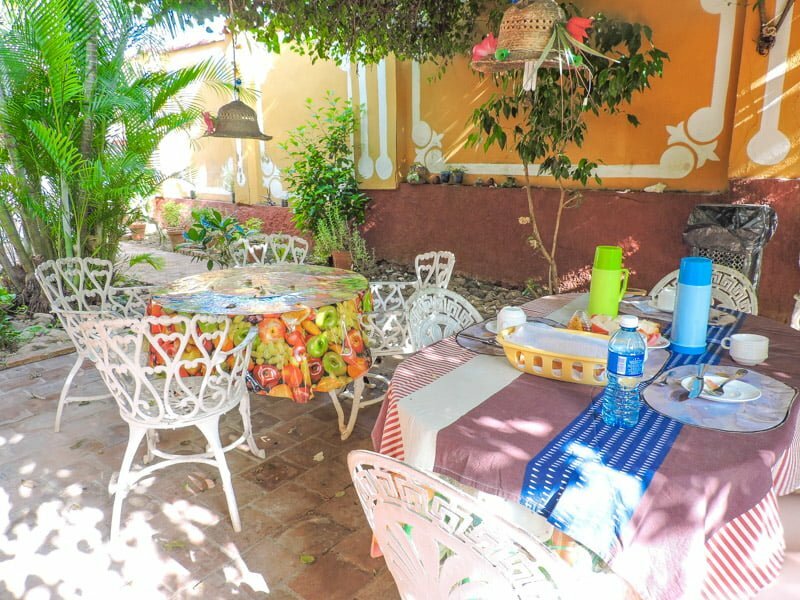 We ate breakfast every morning amongst the flowers at Casa Yaquelín. These Cubans can dance! Every evening at Casa de la Música there is an outside show which travellers can one-two-three until they sweat their socks off. We were gobsmacked at the talent at the local club next to Casa de la Música (1 CUC / $1 / 65p cover charge, if they try to charge you more tell them you were there last night). Expect to pay 3 CUC / $3 / £1.96 for a cocktail in the club. Craig is convinced the writers of Dirty Dancing got the idea for their story from Trinidad! It’s his favourite film, sorry, I mean soundtrack (… film). The famous Canchánchara cocktail of rum, honey, lemon, and water can be bought at La Canchánchara, it’s the simple things in life in Cuba that matter. Don’t be alarmed when live music explodes here. I love the drink in Cuba. Mojitos, Cuba Libres, Daiquiris, Piña Colada, as a spirit drinker I was in liquid heaven. There is a man who sells 1 CUC cocktails just down from the steps of Casa de la Música. The street lights go out every so often, ideal for topping up your 1 CUC Colada with your contraband (half bottles of rum are 2.80 CUC / £1.83 in local shops). We had a great night drinking and laughing with our travelling ‘family’ Annie, Sarah and Sarah’s Dad, Geoff (we became Two Scots, Two Brauds and a Dad in Cuba!) As well as our new friends, Dr Megan, Anaise, Enders, and the Two Andreas. Oh and how could I forget our street perro, Mango the Dog! 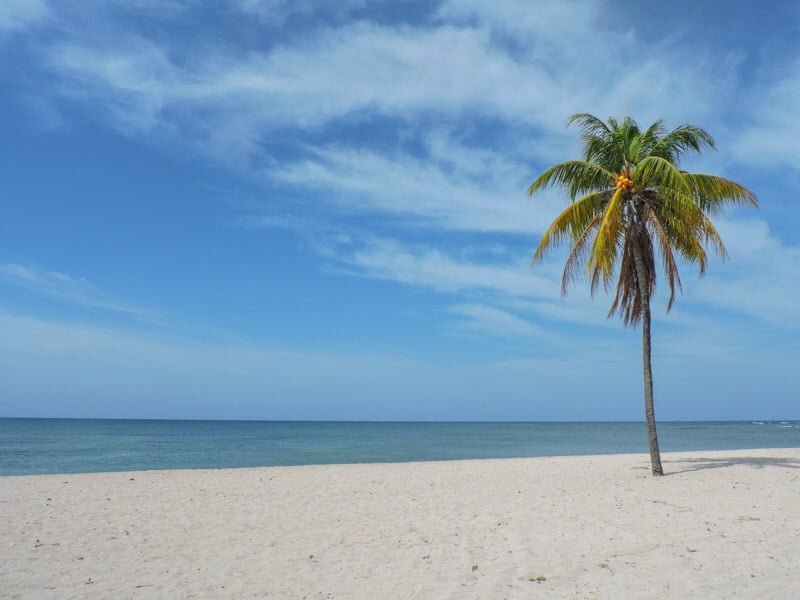 This beach is perfection, it’s exactly what you would expect of Cuba with its blue waters, white sand and palm trees. In attempt to miss the strong sun, we left our Trinidad casa at 09:00 to collect our pre – booked bikes (5 CUC / $5 / £3.27 each) which we had organised with a taxi man who then put us in contact with a lady with bikes the day before. This is pretty standard business behaviour, the taxi man gets commission in return for our custom. The 6 mile ride from Simon Bolivar street took less than an hour, with a few photo stops. An old man in charge of the beach charged us 1 CUC / $1 to have our bikes on the beach and locked up (scandal, typical of Cuba charging you for everything). He did let us leave our bikes at his side of Playa Ancon when we went to meet our friends at the busier side. We ate a disgusting meal (grease) for 5 CUC / $5 / £3.27 but washed it down with two ‘Che’s’- Craig’s invention; a drink with rum, a dash of cherry rum, and lemon slush, perfect in the sun. The 6 mile cycle back was a killer! I felt like my face had undergone a facelift by the time we got home, partly down to sunburn and dried sweat! It’s common for people to hurl their bikes into taxi cabs when leaving the beach. There is a local bus from Trinidad if cycling isn’t your thing. It costs 1 CUC / $1 and leaves hourly (check with locals). There is definitely a bus a 11am and returning at 15:30 or 18:00 from Playa Ancon. 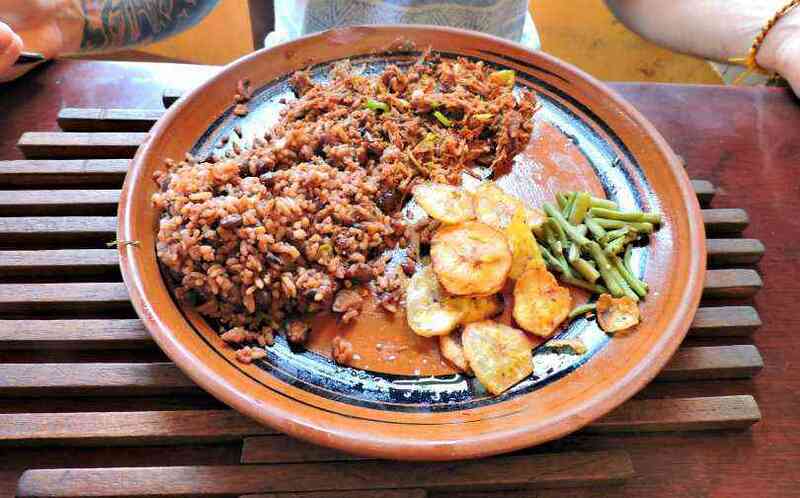 Don’t get me wrong although Cuban food gets a terrible write-up, we did eat well in Havana and our Cuban casa breakfasts were usually pretty decent but unfortunately our review of meals in Trinidad is not as positive. In Cuba there are private restaurants and government-run restaurants. The government-run ones are notorious for slow service, poor quality and a lack of variety of food. We, unknowingly, ate in one government-run restaurant for lunch and it became apparent which type of restaurant we were dining in after an hour wait for rice (which Craig did actually enjoy). Cuba time is not the same as Western time! You just have to go with flow, tranquilo. I can recommend dinner at the Tripadvisor #1 rated restaurant in Trinidad, Restaurante San José as well as lunch at Taberna la Botija (which has a live band in the evenings) so there are some options available for tourists, it’s just frustrating paying near North American prices for poor quality meals. We felt trapped many times in Cuba. Trapped by the (short-term) rain, the inability to cook for ourselves, the WiFi situation and of course, the hustle! Cuba is a communist country but the Cubans run their own private network in their communist country. Nearly every house on the gringo trail of Cuba is a casa particular, there were hundreds of rooms to rent in Trinidad. Many Cuban men have taxi cabs too and lots sell cigars. Unfortunately with this two tier economic system and ‘black market’ comes the constant hustle and fleecing of travellers. You can’t walk for two minutes in Trinidad without someone offering you a service or product. Walking down the street from our casa we heard ‘hello’ coming from a house. Don’t be a victim – Cuban scams information here. Need help with currency? Read this. We are now just short of two weeks into our three week travels of Cuba and we’re tired! It’s hard work being here so maybe Trinidad isn’t getting the best of our attention and you may have an entirely different perspective from us, do tell us! 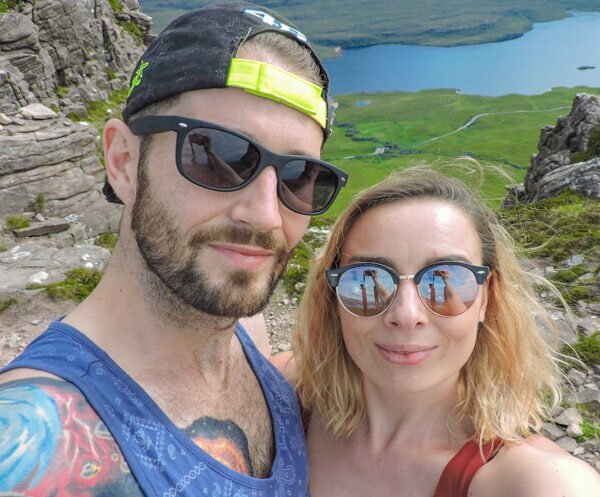 We have done the sums and are averaging at £80 (between two) on travelling days (our budget is £45) and £51 on stationary days (£63 ended up being our daily average). The money man (Craig) thinks we’ll save £400 by staying in an all-inclusive Cuban resort for the week. 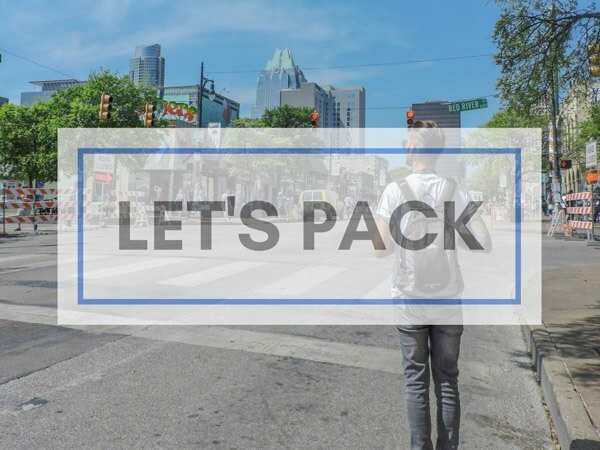 Cuba is expensive and we have 15 months left on the road! 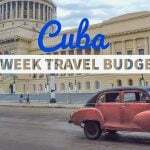 Here’s a full breakdown of our Cuba travel costs: 3 weeks in Cuba. 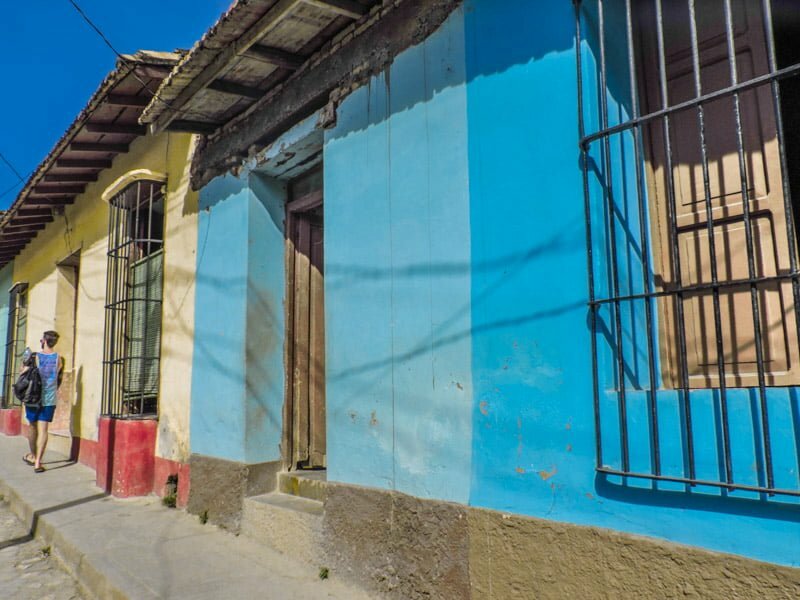 Check out Getting Stamped’s posts on Trinidad Cuba for more ideas on what to do in and around this colourful town! I know this comes as a surprise but Cuba is not cheap. 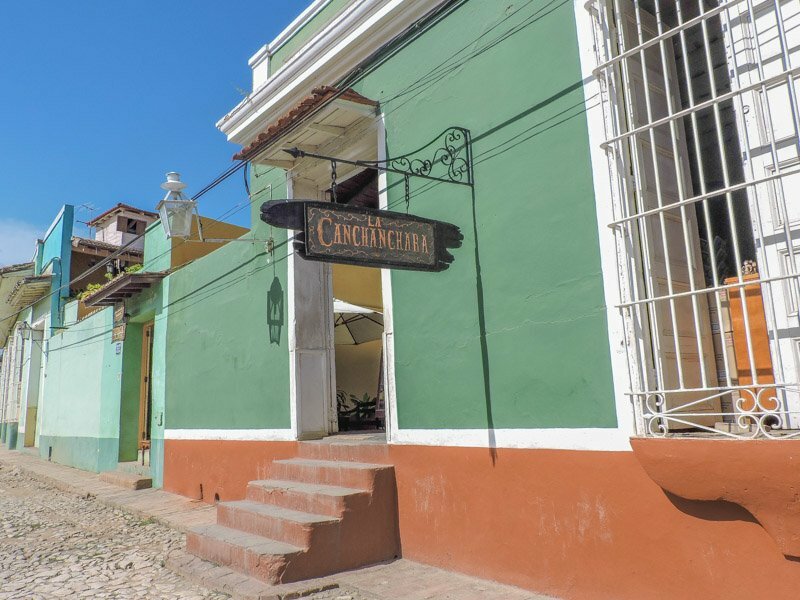 Hotels in Trinidad, Cuba are not the exception. Iberostar starts at $400 (U.S) for one night to put things in perspective for you. The cheaper alternative to Trinidad hotels is to stay with locals in a casa particulare, which is extremely common. Hosts are now advertising on Airbnb, if reading a review and seeing images beforehand puts you at ease. New to Airbnb? 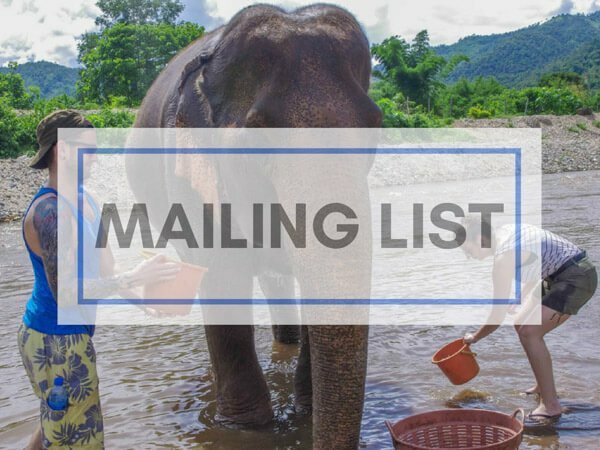 Sign up using our referral code and you receive money off, in return, we’ll get money towards our next booking – thank you for helping us travel and share our stories! Airbnb average price for a private room is 28 CUC / $28 – you do not need to pay this, we never paid more than $10 each. Lottery winners + WiFi users, here is the Iberostar dining area! 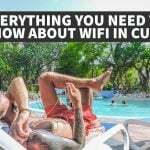 Now the burning question, is there WiFi in Cuba? Yes, and my most popular article (#1 on Google!) will explain how to gain access in detail here. In short, there is one ETECSA telecommunications centre in Trinidad where you can purchase a card which you use to sign in on using your own device. You can login inside the centre or just outside (you’ll see lots of people doing this, Cubans and tourists). The plush Iberostar also has WiFi access but like with every hotel who offers WiFi in Cuba, you must buy a drink so it’s an expensive browse on Facebook! 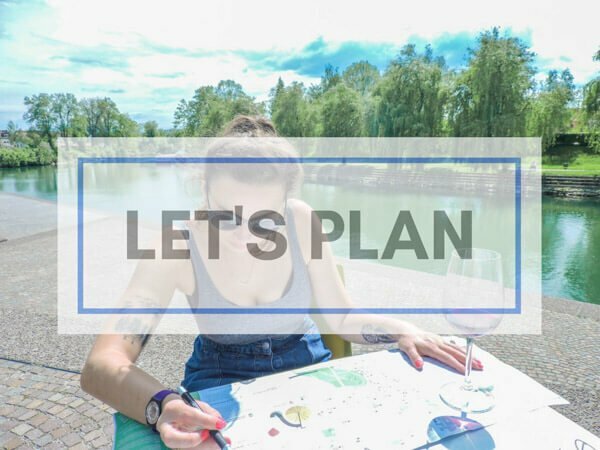 I have heaps of tips on how to save time and money in the article mentioned above. Brisas del Caribe (resort), Varadero to relax for one week before Havana for three more nights then Canada. Craig’s birthday is coming up! On Pinterest? Save for later! Are we being too hard on Cuba? Ever felt this way in a country? I think it is hard if you go as independent travellers. I went with an organised tour but one that allows me to do my own thing most of the time and everything was great. The guide was able to immediately give us info we needed (good restaurants, what to avoid, best salsa clubs or arrange excursions, tips on what to see etc) whilst our casas and transport were top notch. 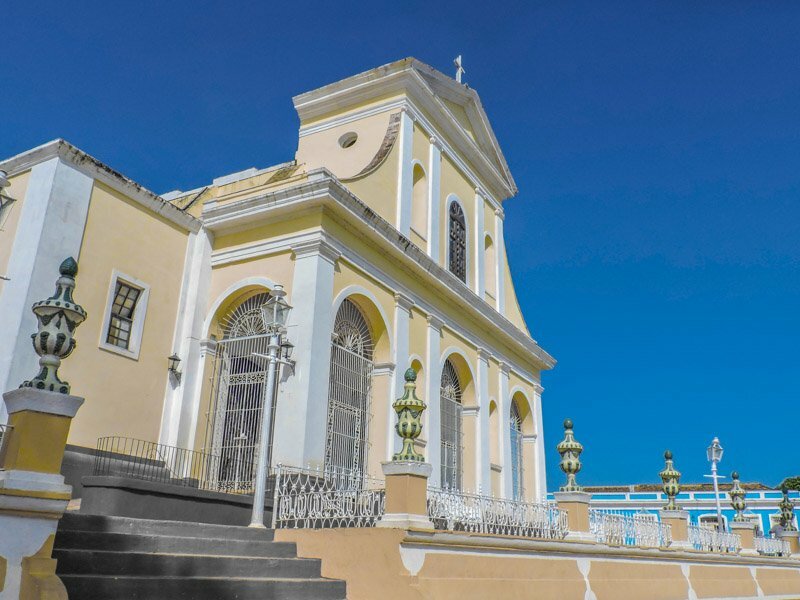 It doesn’t seem you ventured further than Trinidad because Camagüey and Santiago de Cuba are great. I didn’t find ut a hard country to travel at all. Asia was much more difficult. Definitely harder if you go independently as you say. We didn’t have the budget to go with a tour but my friend did last year and said the downsides were – the group were double her age and she felt bad that the tour guides were trained teachers and doctors who had chosen to work in tourism because the money was better. We headed to Varadero (says in the post) after Trinidad because we were burning through our budget and had another year of travel to go. Hi Hildegard, can I ask which tour company you used? I am in two minds about travelling to Cuba solo. I often find tours so frustrating, being told where to eat, not having downtime etc, but I have heard that it is hard solo and my Spanish is non existent! We travelled independently around Cuba but my friend used Locally Sourced. We did a day tour with them in Havana, great team. For solo I’d recommend going to Havana for a few days but stay in a hostel, meet some fellow travellers and go from there with the new friends. We travelled with a group, you end up meeting the same people at each stop! I suppose it depends on the type of group you travel with. I’m 30 something and about half the group were 20 and 30 somethings, all single people, so we had loads of fun. But there were also older people in their 50s who partied us under the table! Oh she’ll be raging, that’s what she wanted. Can’t pick and choose the attendees unfortunately. Agree! There was literally a handful of people on it in June too. Thanks for commenting! 240 CUC that’s $240!! They priced matched the bus for us. It was actually the guy that works at the bus station that organised it for us, he was sitting on a seat where the buses enter the station – this won’t surprise you when you go to Cuba. Side hustle is life! This year in Cuba I saw many cyclists from Europe on the streets of bigger towns like Havana, Trinidad or Cienfuegos. It is surprisingly safe to ride a bike on the roads of Cuba – all of our cab drivers were especially careful about cyclists. I saw a cycle tour too! I don’t miss the 1 CUC pizzas that’s for sure! 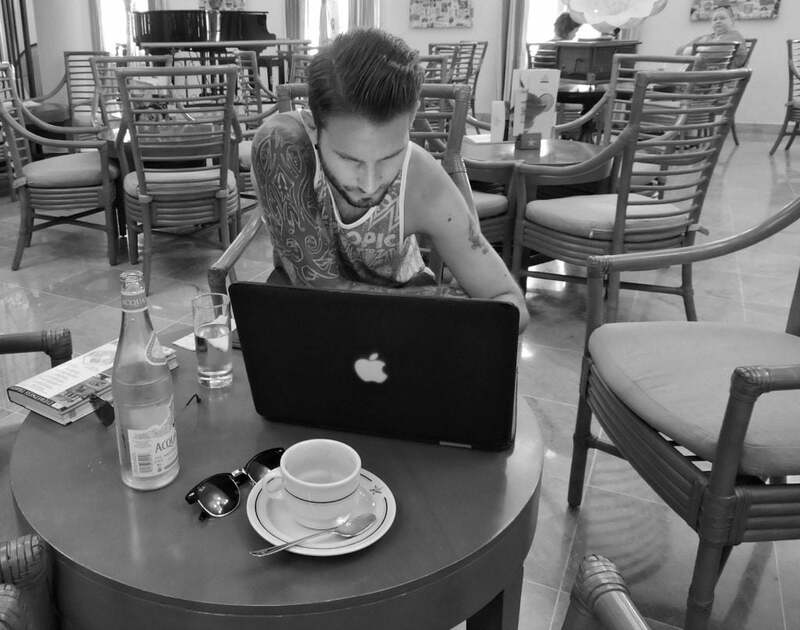 Thanks for reading and taking the time to let us know about your Cuba experience.